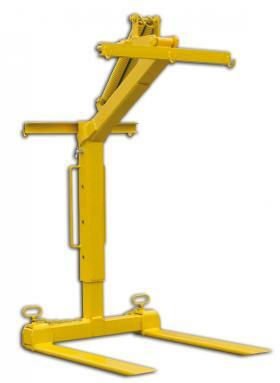 Self Balancing Crane Forks are frequently used on building sites by tower cranes, overhead cranes and hoists of all types. 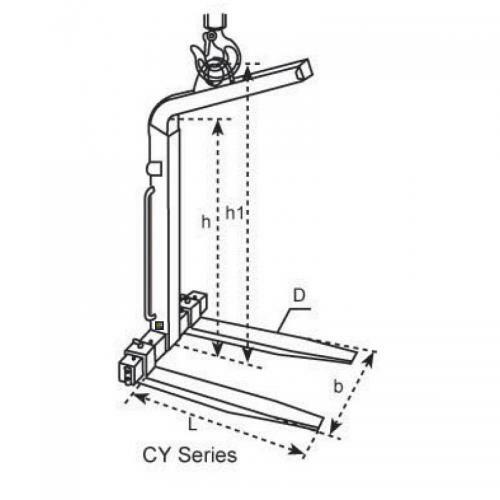 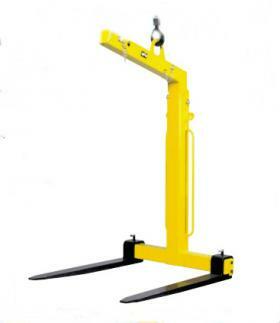 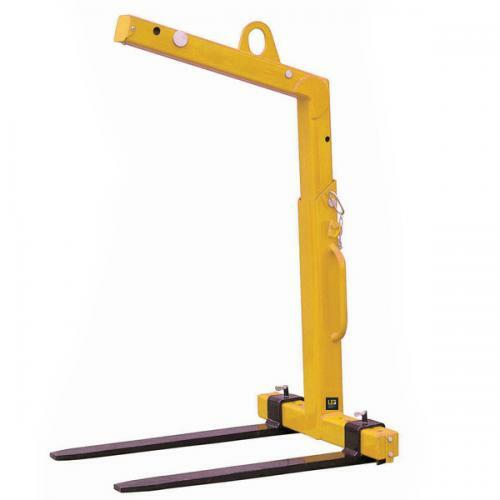 LES CY series Crane Forks are professional quality pallet forks for industrial construction applications. 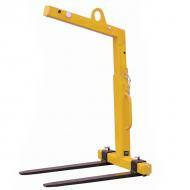 Height adjustable in 3 positions and width adjustable in 5 positions to accommodate various pallet sizes.